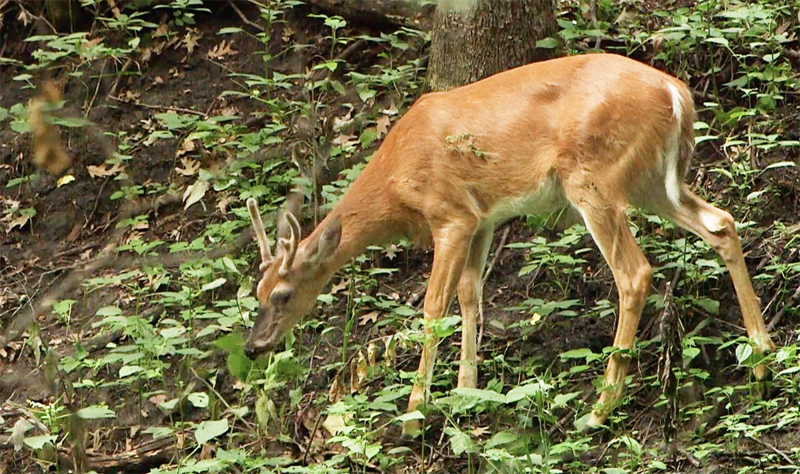 What makes the white-tailed deer a "keystone" species? It's some of the same things that make them the most abundant and popular big games species in North America. 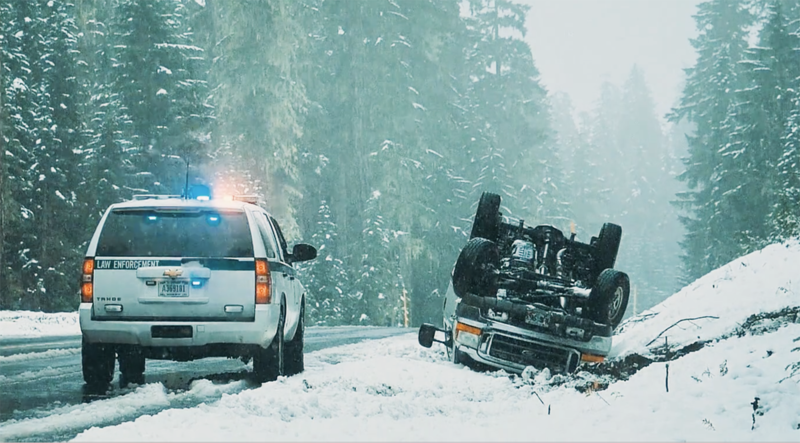 But with that abundance comes a cost to biodiveristy and public safety. If you could have flown over North American in 1492 (when Columbus sailed the ocean blue and discovered America) you would have seen a vast wilderness, unbroken by the sweeping hand of civilization. And if you could have somehow counted all the white-tailed deer within the forests then, their numbers would have totaled about 45 million. Now if you jumped ahead in time some 400 years to 1903 when the first plane did actually fly over Kitty Hawk, North Carolina by Wilbur and Orville Wright, you’d see that the landscape had changed dramatically. Settlers with their axes and plows had transformed many of the lush forests into farms. Settlers’ guns combined with uncontrolled market hunting had also dramatically impacted those 45 million white-tailed deer. 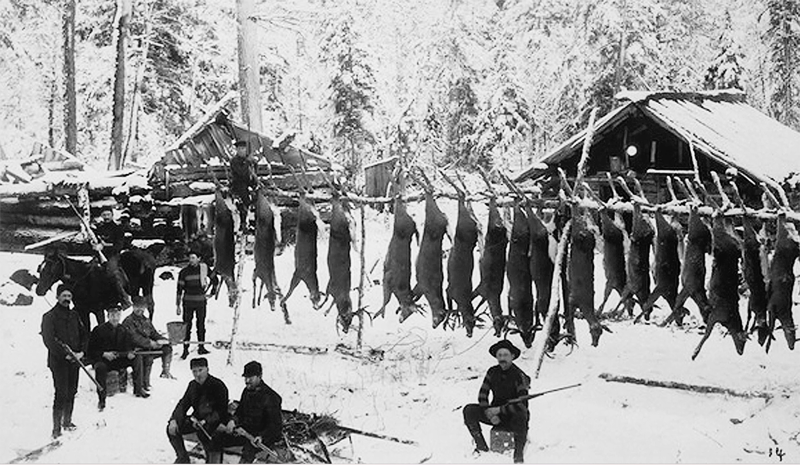 In fact, they had been decimated to the point of only an estimated 300,000 deer in the United States by 1903. With such a downward spiral, they seemed doomed to near extinction, right? But thanks to the birth and evolution of modern wildlife management, things changed dramatically for the white-tailed deer. 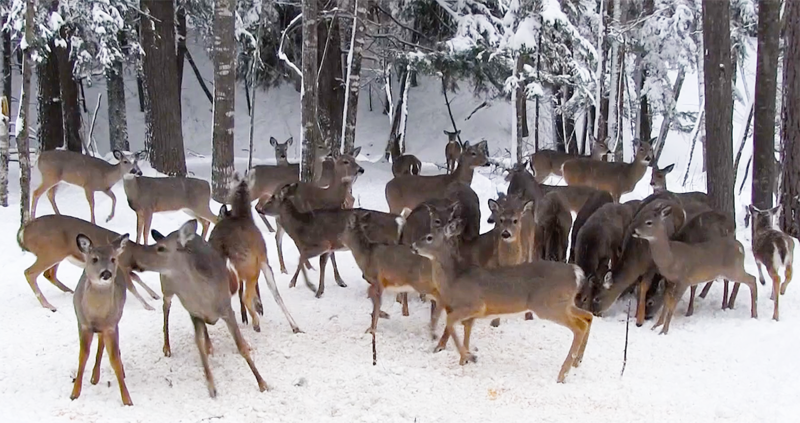 Now there are about 100 times more deer, some 30 MILLION that now inhabit North America. 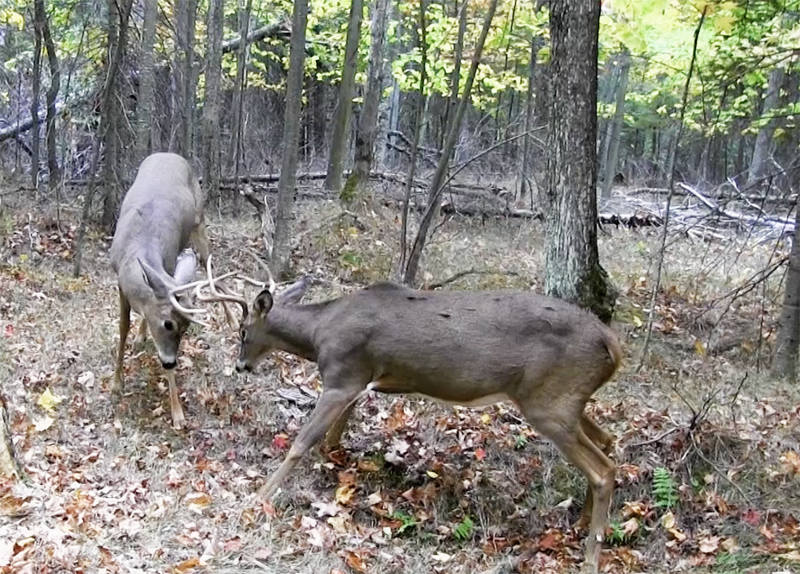 Think about that for a moment… 100 times more deer than 100 years ago. 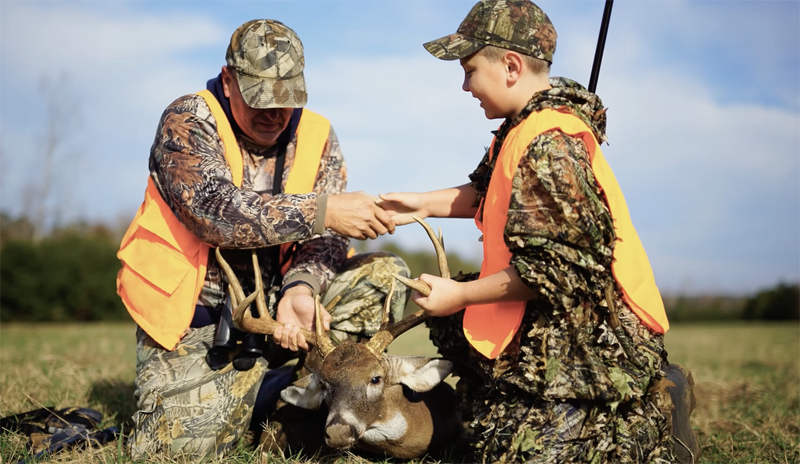 And today, the “whitetail”, as many people call them, represent the nation’s most abundant wild game resource and one of America’s great conservation success stories… all rolled into one. All that sounds pretty wonderful on the surface. 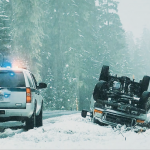 But with that many deer sharing a limited or shrinking wild landscape with some 300 million humans creates a whole set of serious challenges for wildlife managers, public safety officials and the other species that share those limited wild places. 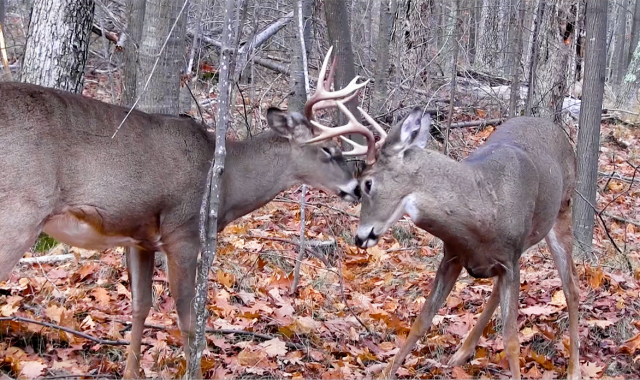 Two reasons that whitetails have been so successful in rebounding their numbers are: 1) they are extremely adaptable to almost any wild or human-made environment, 2) they are a “keystone” species – which means they can dominate and eat so much plant matter in an ecosystem that they can adversely impact all the other species that try to share that ecosystem. 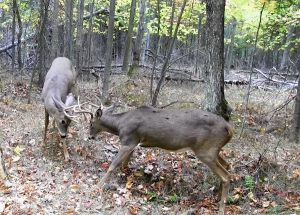 Watch the video on this page plus click on the Learn More button below to “learn lots more” about managing white-tailed deer and how wildlife managers use regulated hunting as a key tool in ecosystem management. 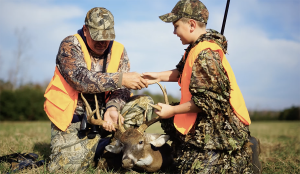 To truly become junior wildlife managers, have your teacher download the free lessons on Managing White-tailed Deer below so the entire class can share in the science and discovery of managing your own deer herds. The links below will also help you learn how different places developed their deer management plans. And once you’ve learned about managing deer, expand your wildlife knowledge by exploring Managing Black Bears. This wildlife education program is made possible with support of the follow educational partners. Teachers can link to their websites for additional information and educational opportunities, such as their American Wilderness Leadership School Youth Program. At SCI Foundation’s American Wilderness Leadership School location in Jackson, Wyoming, educators and students learn about conservation, wildlife management, and outdoor recreation through outdoor, hands-on activities. 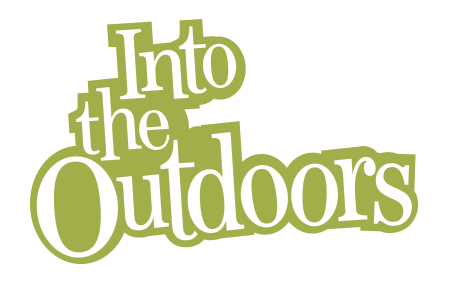 Their Hands on Wildlife (HOW) program provides educators with conservation education instructional tools they can use in hands-on instruction. 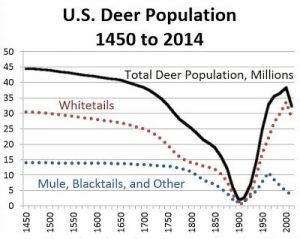 Another factor that shaped deer populations was the reduction in wild and human hunters. 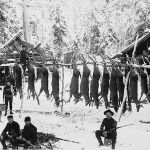 Over the past three hundred years, American settlers not only cleared the forests, they also removed most large predators such as bears, mountain lions and timber wolves that preyed upon deer. Plus, as more people shifted population centers to urban and city areas, fewer humans practiced a hunting lifestyle. 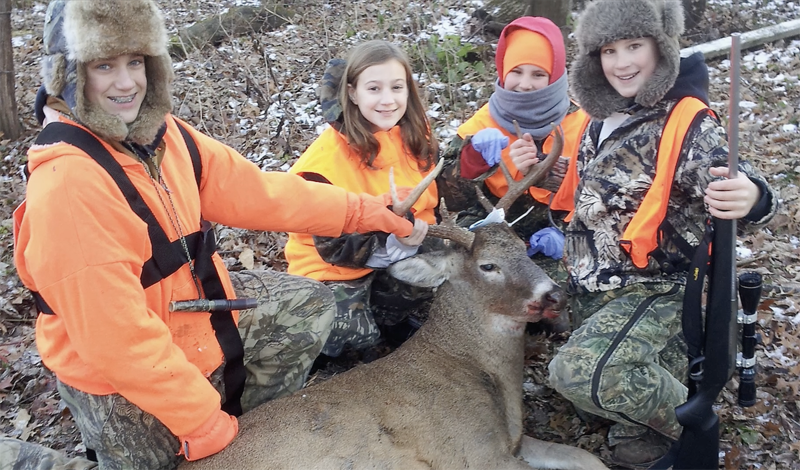 Today, licensed hunters fulfill the void of wild predators in helping control deer populations. 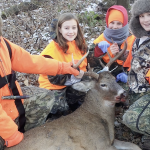 While regulated deer hunting can work effectively to manage deer numbers in most rural areas, hunting in urban areas can be complicated to manage and deer numbers can quickly multiply. As a result, urban white-tailed deer numbers in many near-urban areas have outgrown both their biological and cultural carrying capacity. 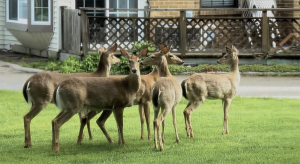 Not only that, sharing urban areas with deer means an increased risk of exposure to certain diseases, property damage, and car accidents. 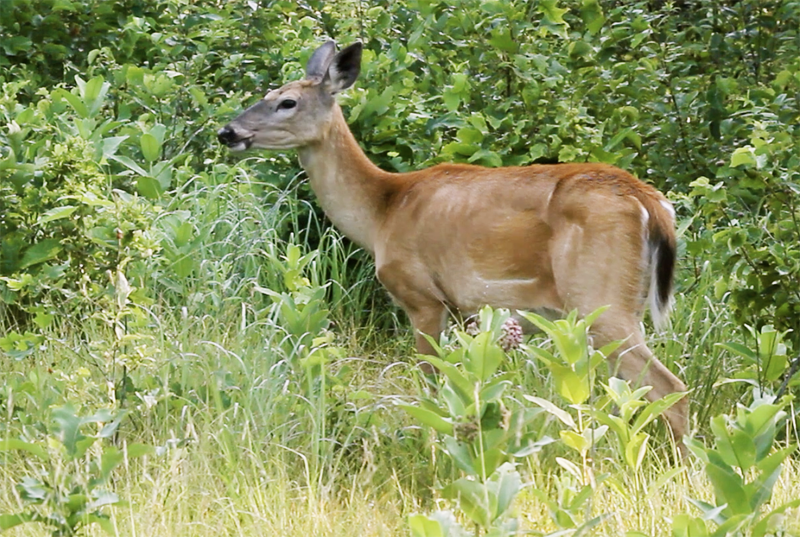 Deer are hosts to deer ticks, which carry Lyme disease – a serious disease that can be spread to humans. 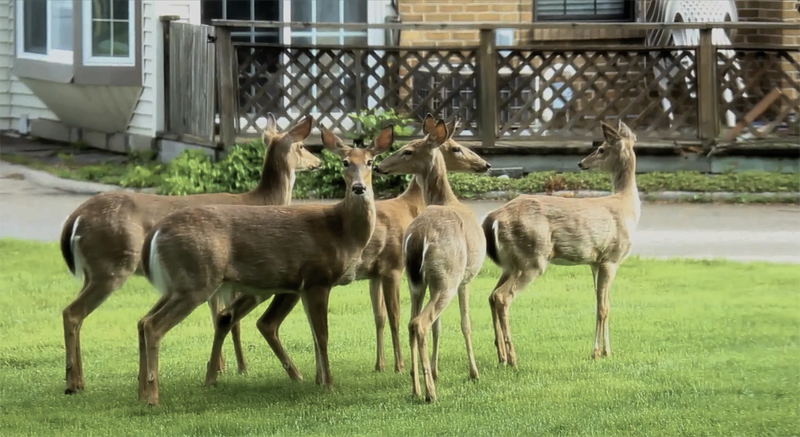 And with their ravenous appetites and large numbers, deer can quickly consume local residents’ landscaping, including expensive shrubs and flower gardens. In some public parks, certain native plants have been over-browsed by deer to the point of local extinction, displacing small mammals and birds that depend on the plants. 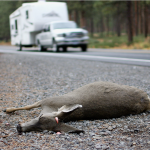 Then there’s the public safety concern of vehicle collisions with deer. 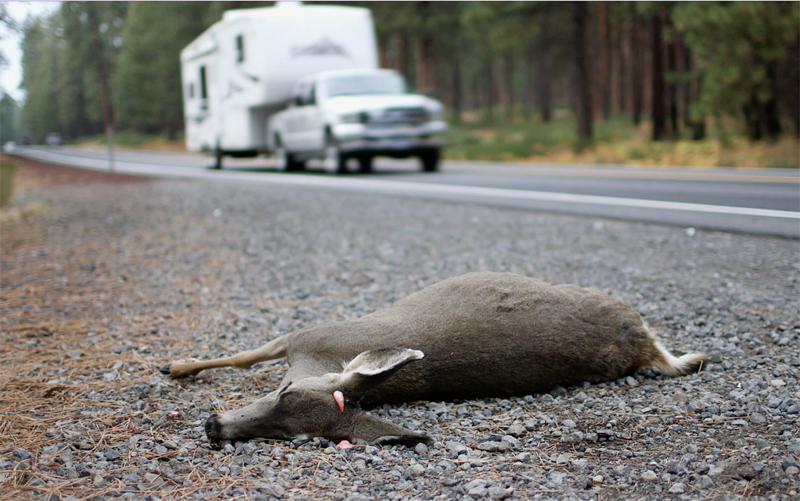 Over one million deer are killed each year by cars, with a significant number of these car-deer collisions resulting in injury, or even death, to humans. 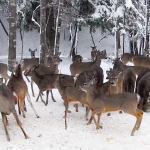 When faced with all these challenges of managing white tailed deer, wildlife agencies develop deer management plans that try to balance the needs of communities, public safety, healthy ecosystems, and the long-range health of the deer herd. 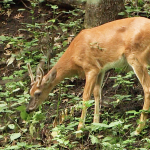 And sometimes, managers are forced to ask important questions about the ethical implications of the overabundance of deer in some areas: Should one “keystone” member of the biotic community (white-tailed deer) be allowed to dominate the habitat to the point of harming many of the other plants or animals? • The male (buck) has antlers and weigh between 150 and 300 pounds. Females (does) weigh between 90 and 200 pounds. • The white-tailed deer is a ruminant. Its stomach has four chambers for digesting food. 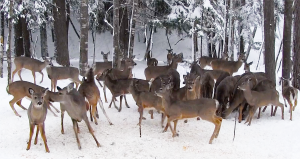 • When a white-tailed deer is alarmed, it may stomp its hooves and snort to warn other deer. It may also "flag" or raise its tail and show its white underside. • The escape danger, white-tailed deer can run at speeds of up to 30 mile an hour. They are also very good leapers and swimmers.